Back on March 4, 2014, the Department of City Planning held a hearing (see below) for any comments or concerns regarding the proposal of a new housing tract at 8544 - 8654 Winnetka Avenue in Winnetka just south of Parthenia Street by a group known as WH Winnetka 60, LLC. The proposal calls for the demolition of one single story home (more on that home later below) to build 68 two-story residences over 272,844 sqft or 6.2 acre site which is currently subdivided into about 3 half-acre and 5 one acre lots. There is also mention of two protected trees on this site. 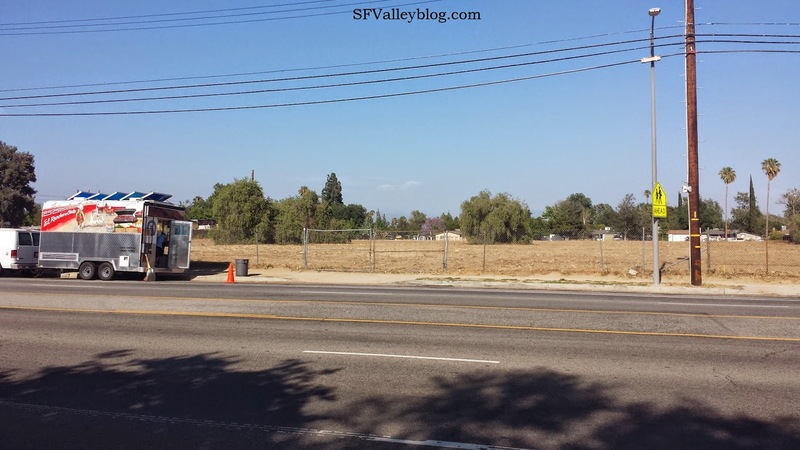 This is possibly one if not the last large parcels of contiguous land available (especially after the home demo) in the SFV that I thought would forever be this way because it simply remained undeveloped up until this time. Or was it? 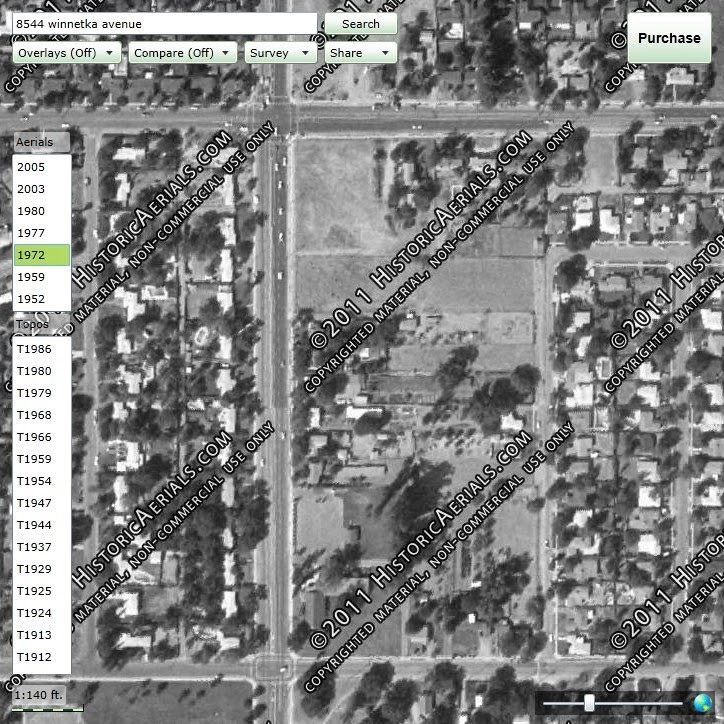 I reviewed historical satellite pics (shown below) from my favorite site, historicaerials.com and found that this plot of land appeared to contain 1 acre farms that were left over from the Charles Weeks days in the 1930s. Weeks setup 1 acre farms in Winnetka with chicken coops that were designed for the owners to live in the home while generating income from the land. Well, that all worked well until the depression hit. 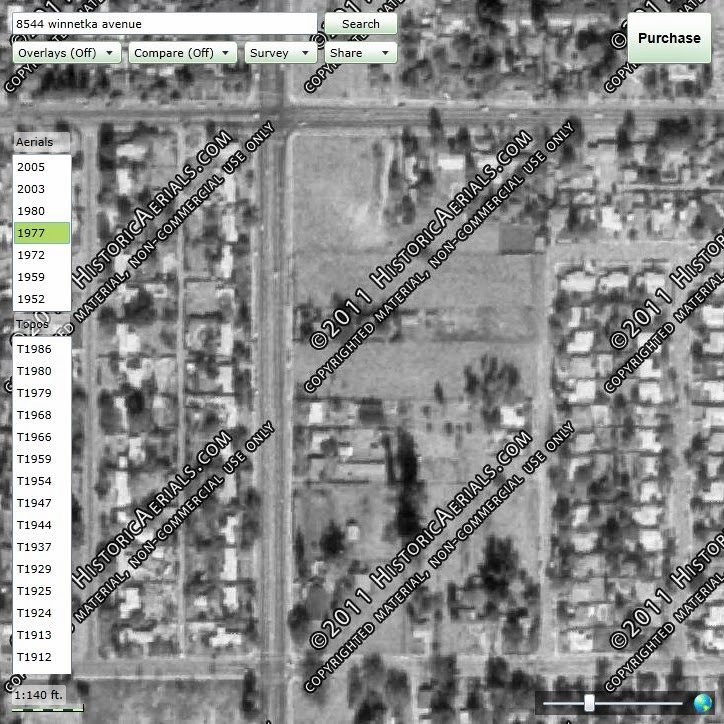 It appears from the historical satellite images that some of these plots were being utilized up until 2005 when it was all demolished except for the one remaining single story home which also has chicken coops as broken down further below. 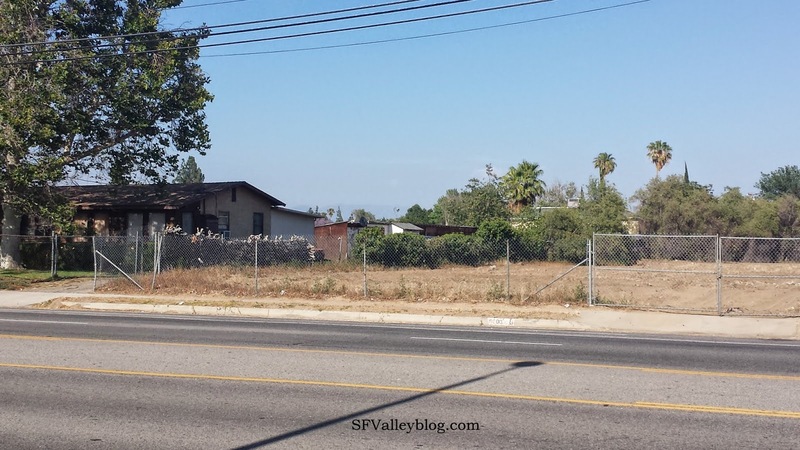 [Update March 3, 2015]: This property was formerly known as Menary Farms by Linda Menary which is best described in a August 6, 1996 LA Times article titled Five Green Acres: A Pair of Agrarian Holdouts Try to Keep the Valley's Rural Roots Alive by Eric Slater. [Update April 14, 2015]: Menary also owned the Reseda Petting Zoo and Farm which is now being developed into a private school. 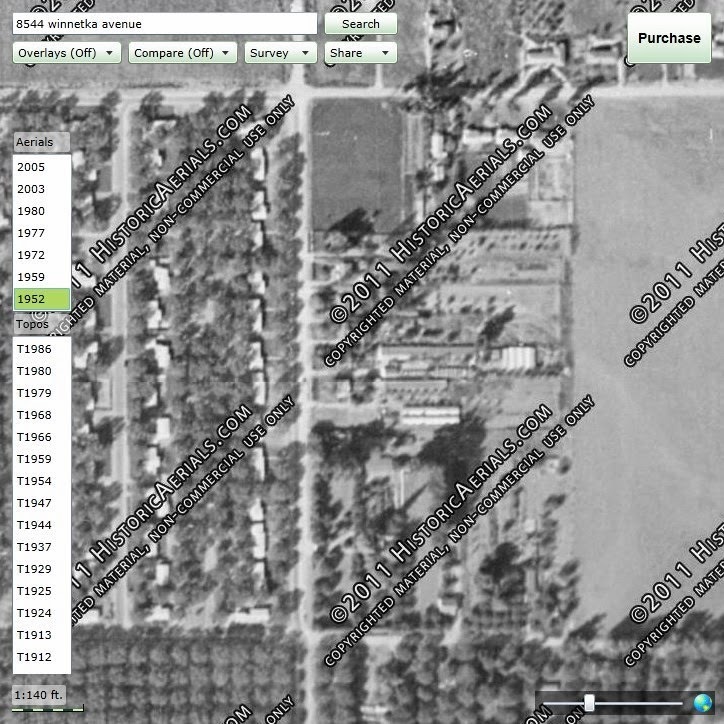 In 1952, there appears to be homes on the now empty plots. In 1972, it looks like possibly the top two plots are empty. In 1977, it looks like two more plots are cleared with one remaining in the middle. 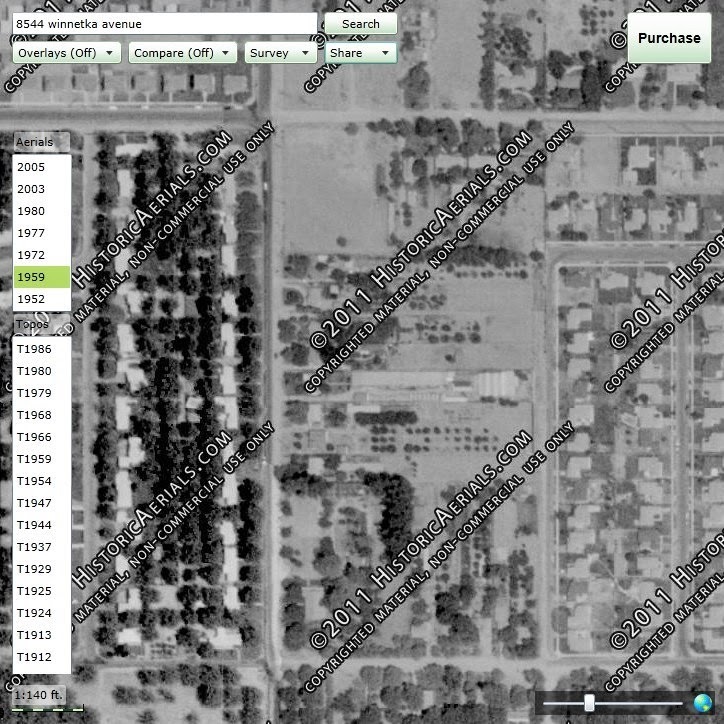 By 1980, the top plot of land is completely cleared. However, by 2003, there appears to be some use possibly as a storage yard. By 2005, all plots are cleared aside from today's remaining home. 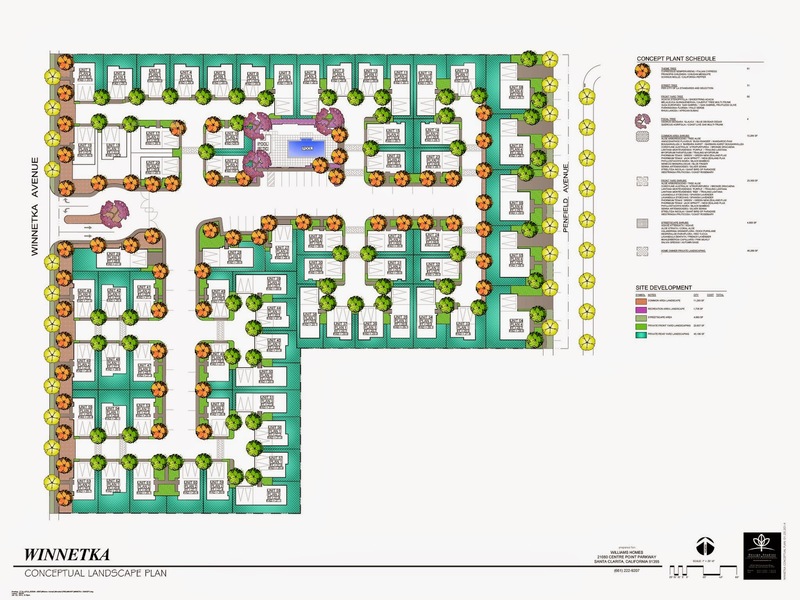 The city planning commission later met on April 24 with some modifications which looks to be 5 single family homes and 59 detached residential condominiums as shown in the concept map at the very top. I am guessing development will be happening soon. So get ready for more traffic along an already busy Winnetka Avenue, I hope the planners took into consideration the traffic getting out of this housing tract being extremely close to a busy intersection. Something also tells me there will be less seats available at the Winnetka Theatre. The last remaining home from the Charles Weeks era with the chicken coops in the background. I broke down each parcel below with more detailed info. Aside from the single home on this plot, all the other parcels were owned by a Living Trust controlled by Harry and Lillian Grossman and appears to have transferred to Harry Grossman. What makes this more complicated is it appears that at one point in time some of the parcels were owned by Bencion and Betty Jakobovits which resulted in some kind of a court case that was resolved in 2012. I need a real estate attorney to understand all this so its possible I misinterpreted something. However this maybe could explain why no development took place for a long time due to pending litigation. At any rate, I hate to see the last vestiges of the old valley disappear. 8544 Winnetka Ave measures 19,138 sqft last purchased on February 21, 1990 for $245,000. 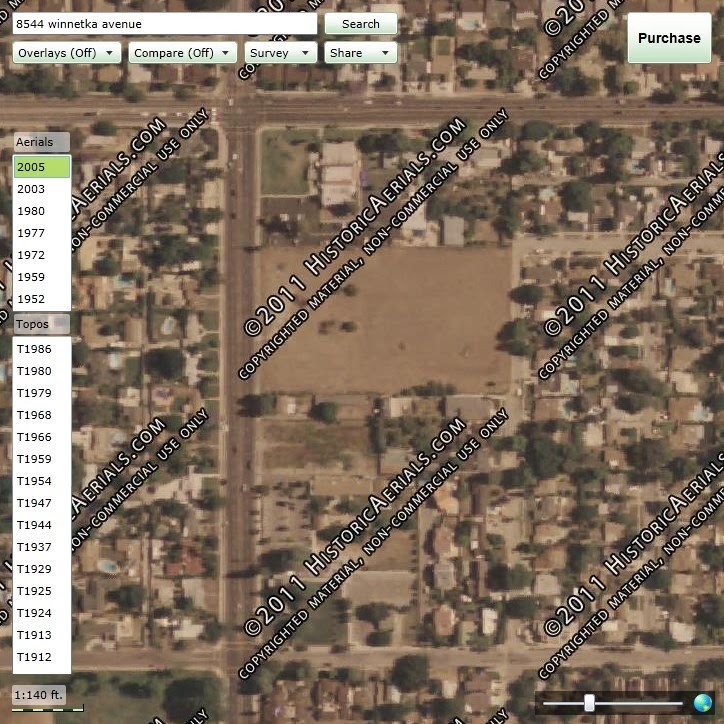 8600 Winnetka Ave measures 19,140 sqft last purchased on June 8, 1988 for $180,000. 8612 Winnetka Ave measures 19,141 sqft with a home that was built in 1933 measuring 976 sqft with 2 Beds/1 Baths and appears to be a home representative of the Charles Weeks colony with original chicken coops. The home is owned by Raymond and Virginia Ritchea who purchased it a long time ago because the purchase date and price is unknown. 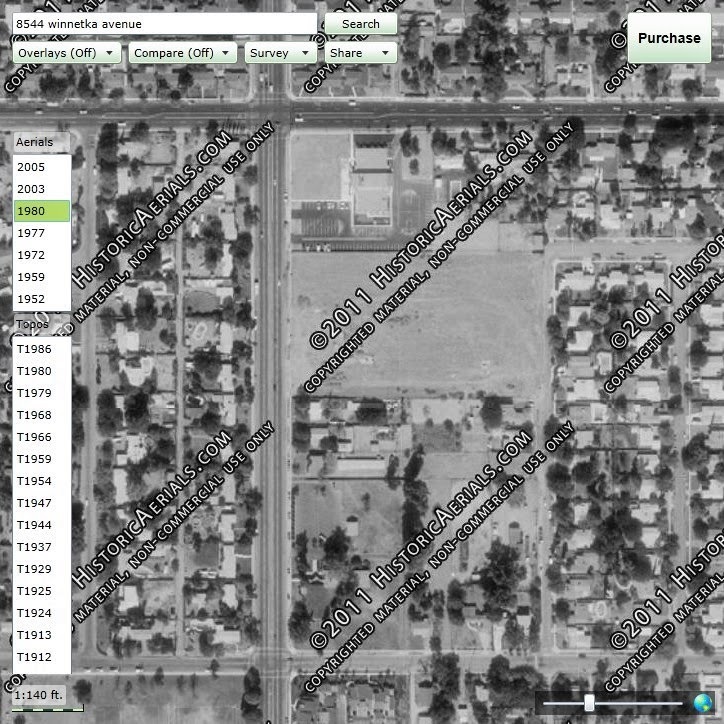 Next parcel ID# 2782011005 (no address) measures 47,177 sqft with an unknown purchase price and date. 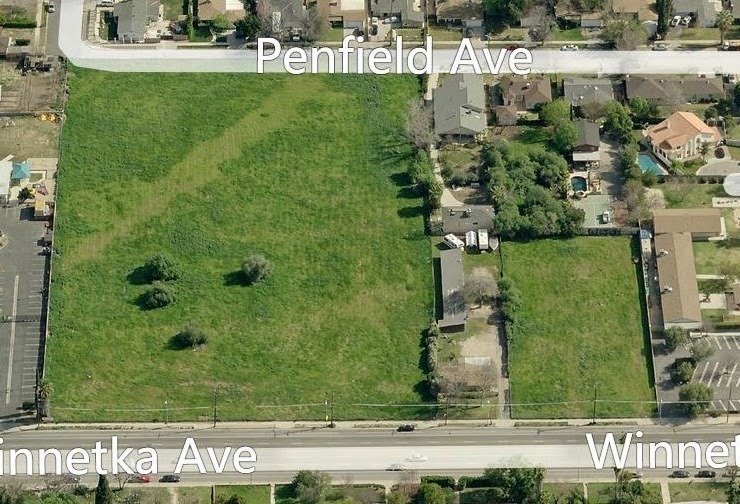 Next parcel ID# 2782011026 (8620 - 8630 Winnetka) measures 40,479 sqft with an unknown purchase price and date. 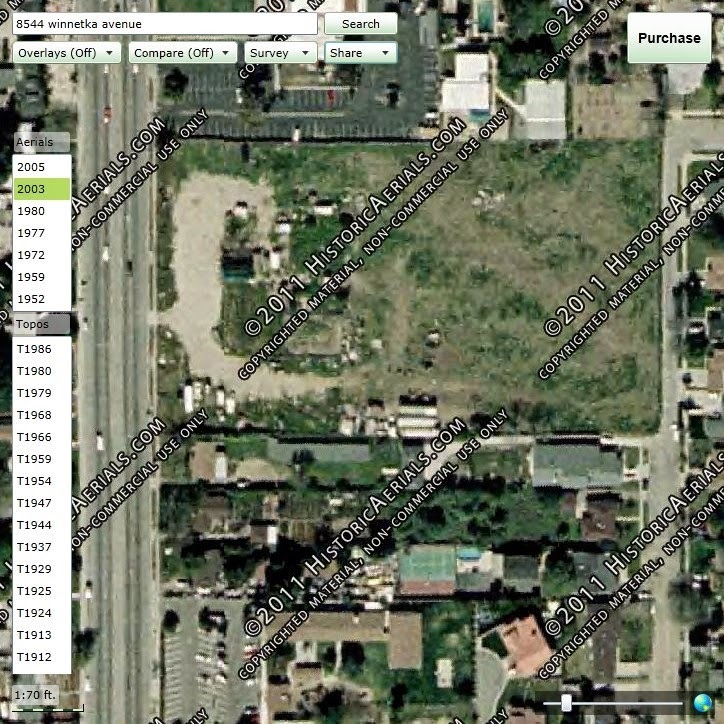 Next parcel ID# 2782011003 (8640 - 8642 Winnetka) measures 46,926 sqft that was last purchased for $275,000 on August 13, 2012. 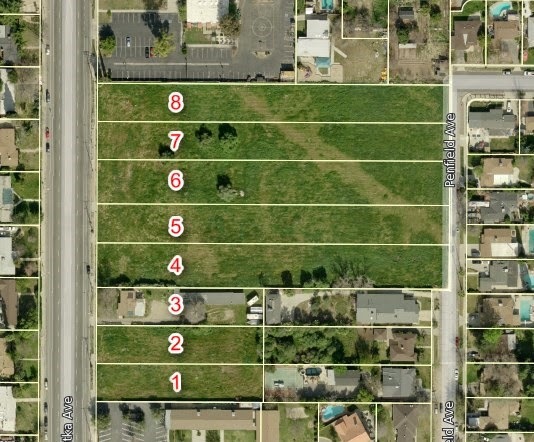 Next parcel ID# 2782011002 (8646 - 8654 Winnetka) measures 40,348 sqft with an unknown purchase price and date. Next parcel ID# 2782011001 (8646 - 8654 Winnetka?) measures 40,495 sqft that was last purchased on August 13, 2012 for $1,205,000. You can view more SFV Architecture and Real Estate here. No Comment to " 6.2 Acres of Undeveloped Land In Winnetka To Become Massive Housing Tract "